The Grand Western Canal ran between Taunton in Somerset and Tiverton in Devon in the United Kingdom. 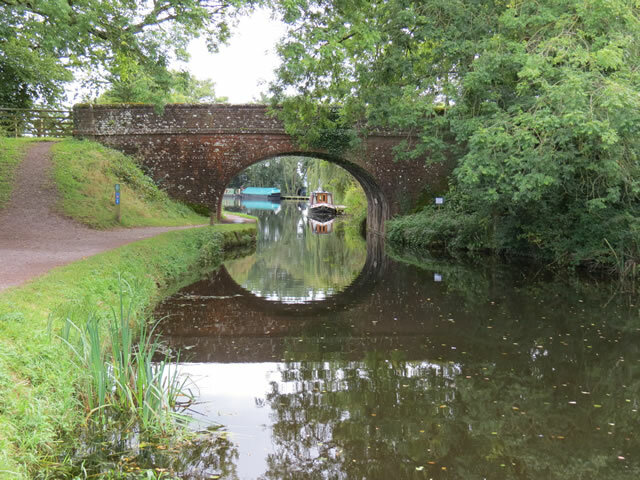 The canal had its origins in various plans, going back to 1796, to link the Bristol Channel and the English Channel by a canal, bypassing Lands End. An additional purpose of the canal was the supply of limestone and coal to lime kilns along with the removal of the resulting quicklime, which was used as a fertiliser and for building houses. This intended canal-link was never completed as planned, as the coming of the railways removed the need for its existence. Construction was in two phases. A level section from Tiverton to Lowdwells on the Devon/Somerset border, opened in 1814, and was capable of carrying broad-beam barges, carrying up to 40 tons. The Somerset section, suitable for tub-boats, which were about 20 feet (6.1 m) long and capable of carrying eight tons, opened in 1839. It included an inclined plane and seven boat lifts, the earliest lifts to see commercial service in the UK. The lifts predated the Anderton Boat Lift by nearly 40 years. The Devon section remains open, despite various threats to its future, and is now a designated country park, and allows some limited navigation. The Somerset section was closed in 1867, and is gradually disappearing from the landscape, although sections are now used as a footpath. It maintains a historical interest and has been subject to some archaeological excavations.